As a plant-based athlete, I’m always looking for ways to vegan-ize and health-ify my diet. Though there are certainly a lot of options available to vegetarians and vegans these days, they’re not always healthy. In fact, many vegan substitutions for meat and dairy products are overly processed and loaded with artificial ingredients — not exactly what most Fit Bottomed Girls want to put into their body, right? 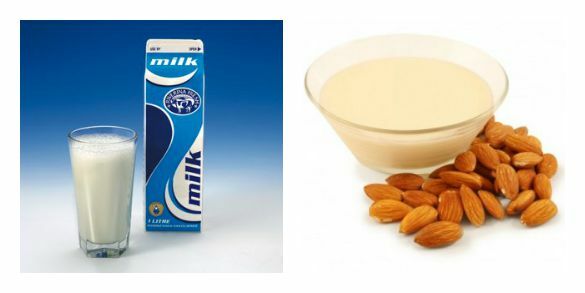 For those looking to eliminate dairy from their diet, nut milks — made from almonds, cashews, or hazelnuts — are a great, healthy substitution. Allergic to nuts? Soy, hemp, and oat milk are also delicious vegan alternatives. But before you go buy a carton from the store, consider making your own. Many commercial offerings utilize carrageenan, a controversial additive, as a thickener. Although the seaweed-derived additive is approved by the FDA, some scientists have raised questions about the safety of carrageenan consumption. 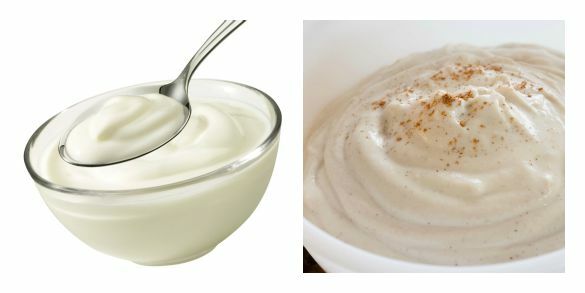 Making your own (carrageenan-free!) nut milk is simple — really! Try it once; you’ll be hooked. 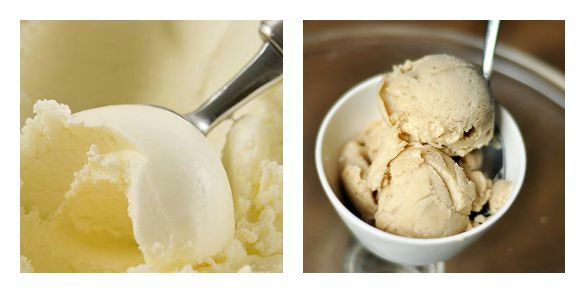 Like nut milk, a substitute for yogurt is simple and quick — simply soak raw cashews overnight, then blend. If you wish, add spices or a drop of vanilla extract. That’s it. Really. Cashew cream makes a delicious, creamy accompaniment to fresh berries at breakfast — with no dairy, no artificial ingredients and no added sugars. If you’re a sandwich junkie like me, you’ll lament the loss of mayo at when you first go plant-based. That cool, creamy tang is what makes a sandwich, you know? 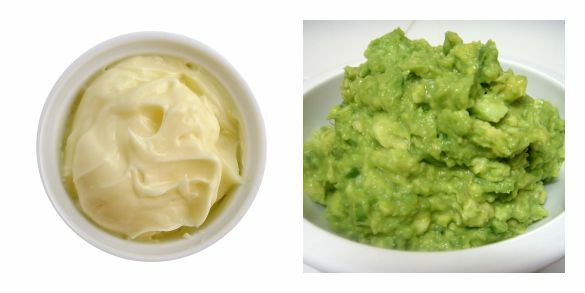 But replacing mayo with mashed avocado provides a rich, textural comfort as well as a healthy source of (good!) fat. Though some vegetarians and vegans allow for honey in their diet, others avoid the sweet stuff at all costs. Luckily, several sweeteners exist to step in, the most talked-about being agave nectar. In many cooking and baking situations, agave can be a direct substitution for honey (in other words, one tablespoon of agave nectar can replace one tablespoon of honey), but in tea or on toast, you may want to use a smaller amount of agave than you would honey — the syrup has almost two times the fructose content of honey, making it super-sweet! The only downfall? 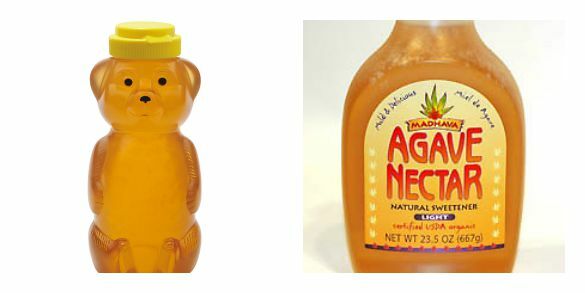 Agave nectar doesn’t come in that cute little bear-shaped bottle. 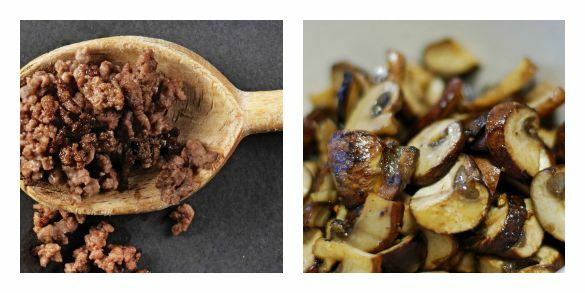 This swap has won over even the most skeptical of omnivores — including my husband, who requests this sweet treat on the regular. Frozen bananas, when blended into a fro-yo consistency, serve as the perfect base for a sundae — I like mine with melted peanut butter and dairy-free chocolate chips. 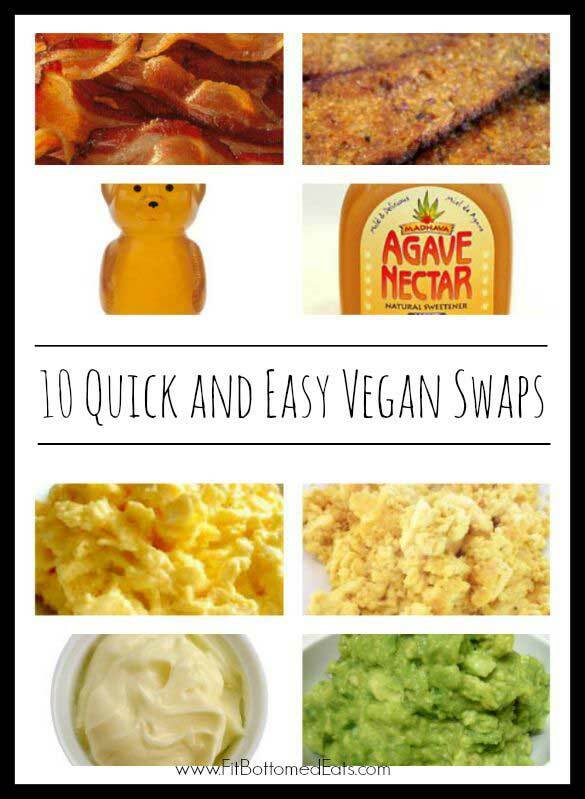 Looking to fill a breakfast burrito with vegan goodness? Firm tofu, mashed with a potato masher, will give any morning meal a protein punch. The key is to drain the tofu before cooking (place the tofu between two towels, then put a heavy brick on top for 15 minutes), then season the ingredient well in the skillet. 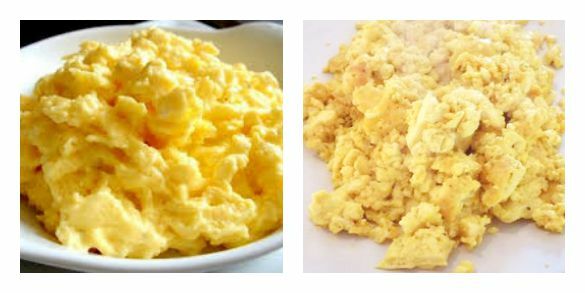 Turmeric gives a scramble good flavor and a yellow “egg” color, while cumin is a delicious addition for a southwestern-themed breakfast burrito. For years, I used ground beef replacements like Boca, Quorn, and Field Roast in recipes like tacos and chili. I think meat-replacement products are a great tool for new vegetarians and vegans to use as they transition to a new plant-based lifestyle. However, they’re also really high in sodium, and that’s something I’ve had to cut out of my diet recently. I’m a Wisconsin native, so even suggesting this substitution feels…dirty. But you know what? In some recipes, it really works. 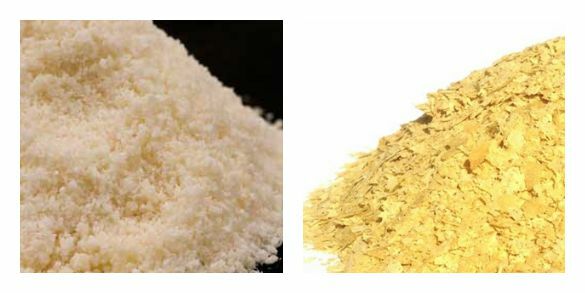 Nutritional yeast has the flavor of sharp cheddar, and a small amount goes a long way in adding a cheesy taste to your favorite foods. Bonus: It’s high in Vitamin B12, which many vegetarians and vegans struggle to find in plant form. Because nutritional yeast (or “nooch,” as some people call it) comes in small flakes that don’t melt, it doesn’t work in every cheesy situation — say, on pizza or in an ooey-gooey grilled cheese sandwich. However, it’s a fantastic substitute for parmesan in a pesto recipe, or stirred into mashed potatoes or grits. It’s true! You don’t have to give up your favorite baked goods! 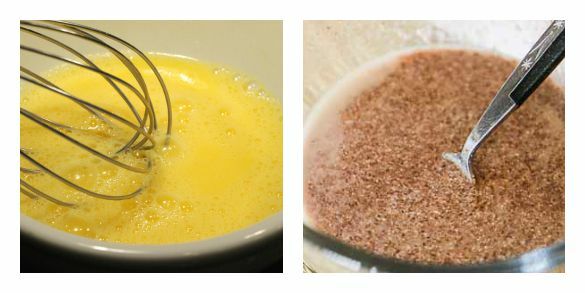 It’s easy to make your favorite cookies vegan by simply substituting 1 tablespoon ground flaxseed mixed with 2.5 tablespoons water for every egg. Instead of Bacon, Try Beans. No, I’m not kidding. 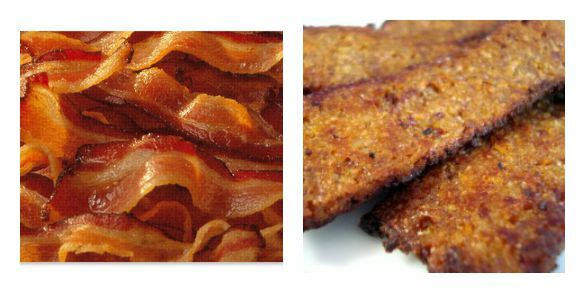 This vegan bacon recipe using beans and buckwheat is hella delicious (and hella healthy, to boot!). Where should we start? Oh, yeah. Thanks for the article. I swear shifting to vegan was very hard for me because I cannot find enough resource online and I had no help. This article of yours can really help people who want to try going on a vegan diet. You presented it quite nicely. I just wish I read this one when I decided to go vegan.